This utility holds all Export/ Import /Conversion operations that can be performed. Right click Project and select Netlist/ wirelist Export & Import from the list. Select Netlist/ wirelist Export & Import from the tasklist or from the task toolbar. Note: By default, system does not display the task toolbar. It may be enabled from View menu in Project Explorer. Netlist/ wirelist Export and Import window appears as shown below. The left pane shows the Hierarchy defined for the project. Using this utility following formats can be generated. Select the required format from the drop down list to which the current loaded Project is to be exported. To cross-match between EDWinXP and foreign formats, a file is required where the alias name is referenced. This file is the dictionary file, which user has to create. For more information on Dictionary files, follow the links given below. 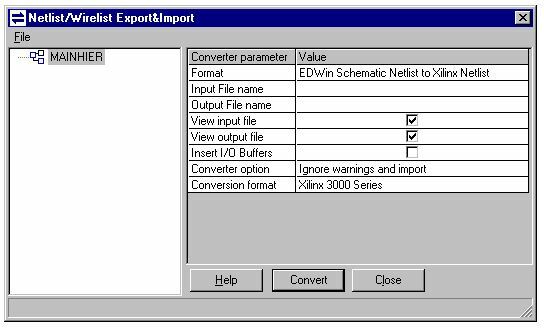 Select Export menu from File and browse EDWinXP PCB Wirelist from the list of export. Browse the dictionary file using the ellipsis for both the package/ parts and point to the location where the output file should be. To export the contents, click the Export button. A dialog opens were the output file (*.wrl) is saved. The exported file can be viewed either in standard view or document view. 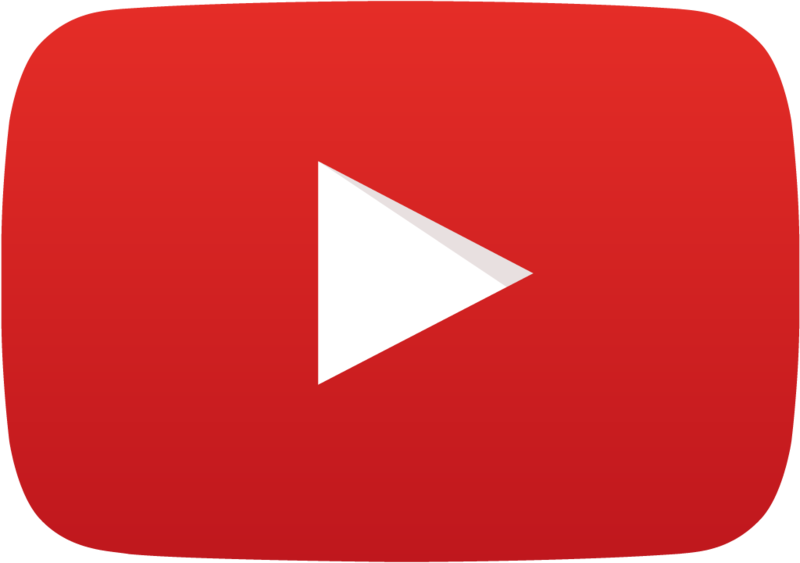 The above format specification is the standard view format and document view looks like . This is a new Export facility where the Schematic netlist of the selected project is exported. The dictionary file and the location of the output file is browsed using the ellipsis. To export the contents, click the Export button. A dialog opens were the output file (*.wrs) is saved. Select this format and choose either of the following options. Schematic Netlist only – use this if only the netlist needs to be exported. The dictionary file (*.eds, *.edd) and the location of the output file is browsed using the ellipsis. To export the contents, click the Export button. A dialog opens were the output file (*.edf) is saved. This option exports the wirelist of the current project to the format accepted by OrCad. Select this option from the list of Export and point to the location where the output file should be. To export the contents, click the Export button. A dialog opens were the output file (*.net) is saved. This option exports the netlist of the current project to the format accepted by Scicards. Select this option from the list of Export and point to the location where the output file should be. To export the contents, click the Export button. A dialog opens were the output file (*.net) is saved. This option exports the netlist of the current project to the CUPL format. Select this option from the list of Export and point to the location where the output file (*.pld) should lie. To export the contents, click on the Export button. If the check box for View output file is active, the file is displayed in EDWinXP Viewer. This option exports the netlist of the current project to the XILINX format. Select this option from the list of Export and point to the location where the output file (*.edn) should lie. To export the contents, click on the Export button. If the check box for View output file active the file is displayed in EDWinXP Viewer. Activate Insert I/O buffers if the selected vhdl module is the topmost module of the design. Exports the netlist of the current project to the JEDEC format. Select this option from the list of Export and point to the location where the output file (*.jed) should lie. To export the contents, click on the Export button. If the check box for View output file is active the file is displayed in EDWinXP Viewer. Activate Map output file name to view the assignment of VHDL ports to the physical pins of the target PAL device. Exports the netlist of the current project to ALTERA EDF format. Exports the netlist of the current project to the EDWinXP RINF Netlist format. Select this option from the list of Export and point to the location where the output file (*.net) should lie. To export the contents, click on the Export button. If the check box for View output file is active the file is displayed in EDWinXP Viewer. A dictionary file for part names is a file for cross-matching the part names for different components between the two formats. By selecting a particular .edd file, that particular cross-matching of part names gets accepted for the import of the wirelist between the two formats. The dictionary file principle works in both ways and applies to any import or export of wirelists or netlists (with exception to export/ import of full EEDIII Databases). 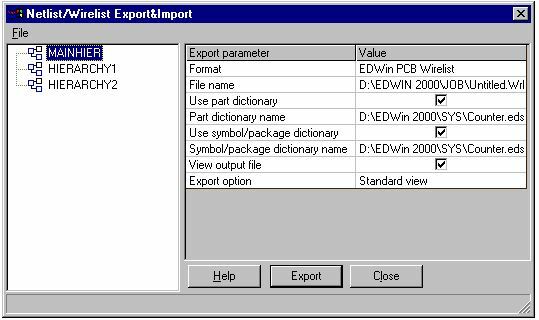 With import, the foreign part names are translated to that of EDWin's and then the search in EDWin libraries is made using the part names in EDWin. This is required because EDWin’s part or symbol may have a name, which in other CAD's library is quite different. 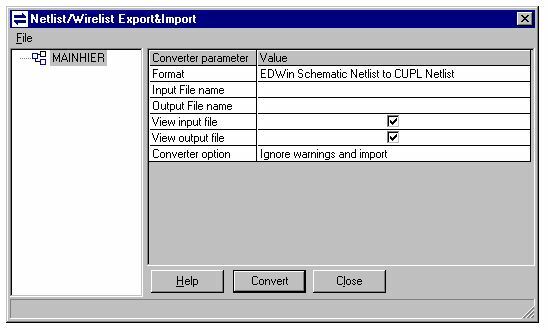 Of the same reasons, while exporting netlist/ wirelist from EDWin to other CAD formats, it may be necessary to translate EDWin names to the names in the other formats. Both this translation functions are optional. It may happen that foreign library element names are identical to that of EDWin and in such a case the translation may be bypassed by not selecting any dictionary file. Because it is not known beforehand what the foreign names might be, these files are supposed to be created and maintained by the users - according to their needs. Both files are plain ASCII and in one line the two arguments are separated by a coma [ , ] character. Each pin name is separated using the PIPELINE [ | ] character. The first argument in both dictionary files is the library name in EDWin and the other is the foreign name. For example a line 7400, TI7400 | …. is interpreted as follows. If part named 7400 is found in the EDWin project, its name in the export file will be converted to TI7400. While importing, when program finds in the import file an object (a component) which is equivalent to part and has the name TI7400, its name will be converted to 7400 and the system will search its libraries for 7400 to create this object in the imported project. Default extensions are .edd for part names dictionary file and .eds for symbols/package. User may have different sets of dictionaries depending on from/to which other system they import/export the wirelists. A dictionary file for symbol names is a file for cross-matching the symbol names for different components between the two formats. By selecting a particular .eds file, that particular cross-matching of symbol names gets accepted for the import of the wirelist between the two formats. The dictionary file principle works in both ways and applies to any import or export of wirelists or netlists (with exception to export/import of full EEDIII projects). With import, the foreign symbol names are translated to that of EDWin’s and then the search in EDWin’s libraries is made using the symbol names in EDWin. This is required because EDWin’s part or symbol may have a name which in other CAD's library is quite different. Of the same reasons, while exporting netlist/wirelist from EDWin to other CAD's format, it may be necessary to translate EDWin’s names to the names in the other formats. For example a line 2NAND, 2 INPUT NAND | IN, Qin | OUT, Qout | …. is interpreted as follows. If Symbol named 2NAND is found in the EDWin project, its name in the export file will be converted to 2 INPUT NAND. While importing, when program finds in the import file an object (a component) which is equivalent to symbol and has the name 2 INPUT NAND, its name will be converted to 2NAND and EDWin will search its libraries for 2NAND to create this object in the imported project. Default extensions are .edd for part names dictionary file and .eds for symbols. While importing Wirelist from OrCad PCB II to EDWin, the dictionary file for symbol names need not be selected, as it is irrelevant. This is because symbol name conversion does not apply to this format where only part names are relied on. Following are the formats that can be generated using this utility. Select the required format from the drop down list. To cross-match between EDWinXP and foreign formats, a file is required where the alias name is referenced. This file is the dictionary file, which user has to create. For more information on Dictionary files, follow the links given below. This option is used to import the wirelist files (*.wrl) and can be used to construct the project database. The dictionary file and the location where the import file resides are browsed using the ellipsis. To import the contents, click the import button. This action clears the current loaded database. The report file is displayed in an ASCII viewer. This is a new import facility where the Schematic netlist (*.wrs) is imported. The dictionary file and the location where the import file resides are browsed using the ellipsis. To import the contents, click the import button. This action clears the current loaded database. The report file is displayed in an ASCII viewer. Select this option from the list of imports which is used to import the wirelist file (*.net). Browse the dictionary file using the ellipsis and point to the location where the import file resides. To import the contents, click the import button. This action clears the current loaded database. The report file is displayed in an ASCII viewer. Note: For all types of import, the input format file is displayed in an ASCII viewer if View Input File is checked. The contents may be imported directly to the hierarchy by clicking on the hierarchy and selecting the required import. Select this option from the list of imports which is used to import the VHDL file (*.VHD). Browse the dictionary file using the ellipsis and point to the location where the import file resides. To import the contents, click the import button. The report file is displayed in an ASCII viewer. Only VHDL that conforms to Level-0 synthesis syntax and semantics can be imported to EDWinXP. For more information regarding the syntax definition, please go through the file in :\ EDWinXP\ Lib\ Level_0.pdf. 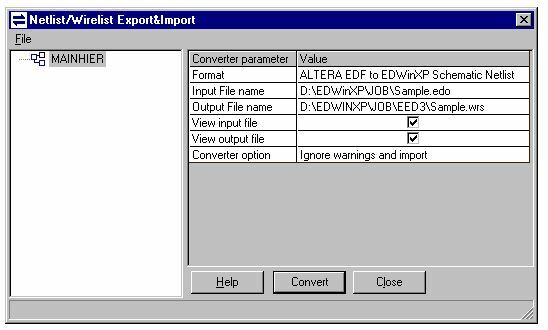 Select this option to import a netlist of ALTERA EDF format. Browse the dictionary file using the ellipsis and point to the location where the import file resides. To import the contents, click the import button. The report file is displayed in an ASCII viewer. 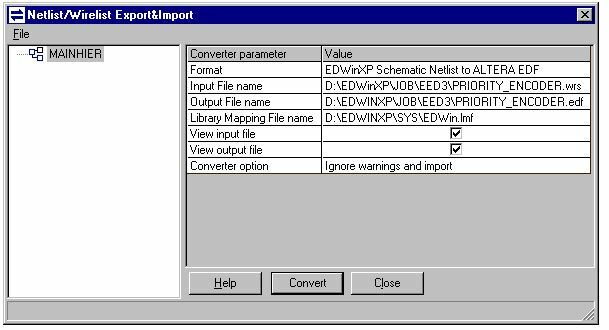 Converts an EDWinXP Schematic netlist created by VHDL compiler to CUPL netlist. Converts an EDWinXP Schematic netlist created by VHDL compiler to XILINX netlist. 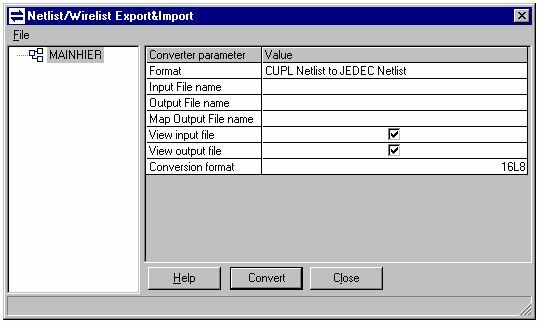 Converts CUPL netlist to JEDEC netlist.